The past couple of weeks have been glorious and I definitely began to think summer was in full force, it seems to have bypassed a little again. With the summer holidays now upon us too we are keen to have lots of fun and many a picnic. Now that Isla is on the move and simply into everything around I feel that I need to have eyes everywhere, when she's not up to mischief alone, shes up to something with her big brother. 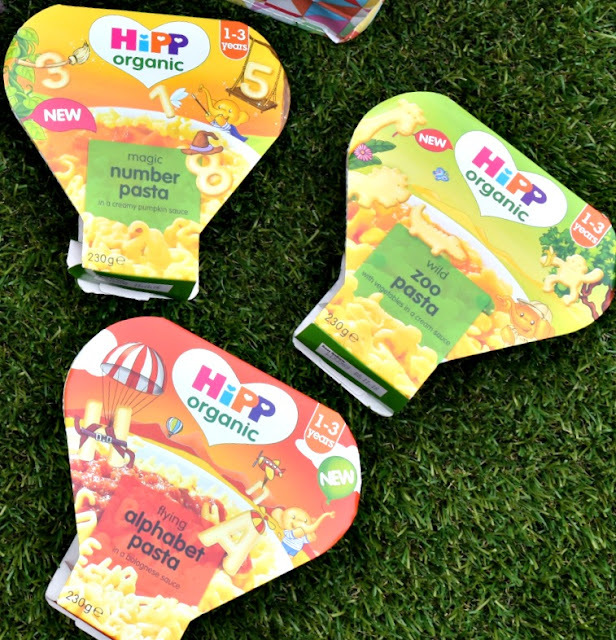 Now that he has finished for the summer I feel we have lots of busy days planned and with HiPP Organic's wide range of tray meals it means Isla can still have a good filling meal at all times as they are easy to do. We've enjoyed the different trays we were sent this month and the Magic Number Pasta was her favourite. Jack enjoyed helping Isla with this one as he counted out the different numbers within the pasta, meaning he was helping teach Isla some skills too. 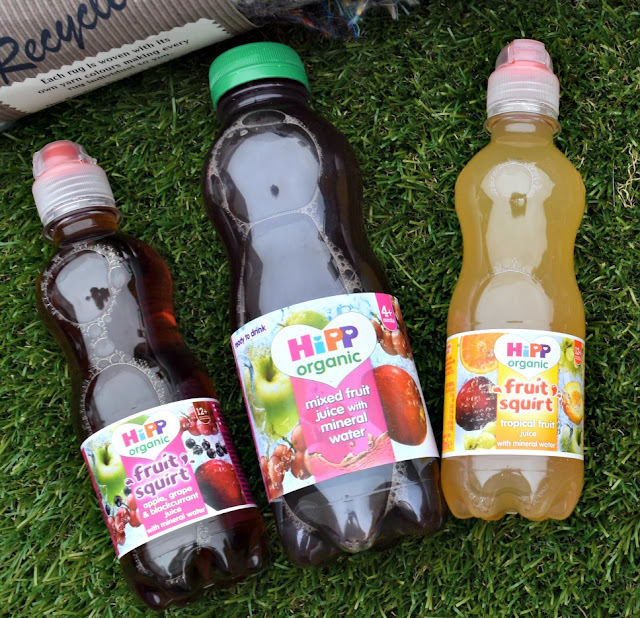 We were also sent some of the HiPP Organic juices, which both children really enjoyed. Isla wouldn't really take juice or anything other than milk before hand, so these have gone down well. The sports top means there is no valve and Isla is easily able to drink and get the juice and during the warmer weather it's helping to keep her refreshed and hydrated at all times. At the beginning of the month I had a wonderful opportunity to visit the HiPP Organic farmland in Poland which in itself was an amazing experience I will write about soon. But, on this trip I learnt a lot about organic farming and how HiPP work hand in hand with nature, encouraging the different wildlife onto the farm without the need of pesticides. With this in mind I love the idea of no nasties inside the food in which Isla is eating from HiPP. 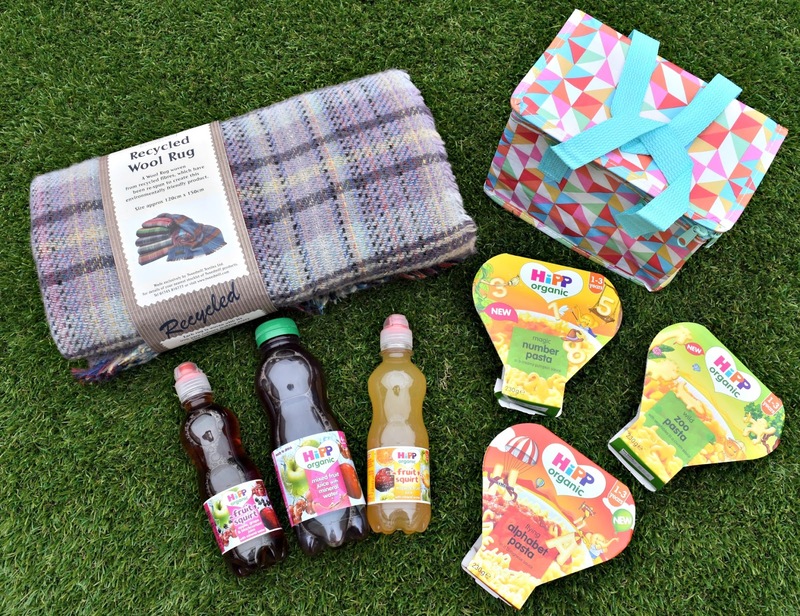 This month, we have teamed up with HiPP Organic to bring you the chance to win your very own picnic bundle to enjoy your own #SummerMoment. All you have to do to enter is share an image on Facebook or Twitter tagging myself and HiPP Organic and enter into the entry below. Winner will be chosen on 21st August 2016. Competition Terms: Open to UK residents, giveaway ends 21/08/2016, winner will be selected at random from all correctly completed entries and contacted via email. The Winner should claim their prize within 5 days or it may be redrawn. Prize supplied directly from HiPP Organic.